Te Matatini 2015, what a proud moment for our iwi and a definite highlight of the year! It was the first time for 40 years the event had been held in Ōtautahi and was a resounding success with more than 28,000 people attending over the four days. What an exciting opportunity to come together and celebrate our identity as Māori and to share the vibrancy of our culture and traditions with the community. Whatumanawa (organisational wellness), the theme of the 2015 Annual Report is one that resonates strongly. In our role as leaders of tribal health and wealth we need to know we are the best we can be and how well we are delivering outcomes to Ngāi Tahu Whānui. The results of a recent staff engagement survey have given us a clear message that there’s work to be done and we look forward to the positive challenge this presents. As we progress our tribal economies framework we will also be encouraging our communities to do the same. ‘We are Ngāi Tahu’ is not a notional concept – we need to look beyond ourselves at where we come from and how we make it work. Our vision has at its core the delivery of outcomes that enable our whānau to reach their full potential as individuals, whānau and hapū. This means developing initiatives that support mātauranga, employment, health and wellbeing, Papatipu Rūnanga development, and Ngāi Tahutanga. Once again we are delighted to share with you a positive year-end result that saw the annual distribution rise to $36.6m – which means a total of $355m has been invested in tribal development since settlement. It was also another very successful year for Ngāi Tahu Holdings and we congratulate the commercial entities on their positive results. We are building on the gaps in Crown delivery of mātauranga and making a shift from our traditional focus on scholarships to looking at our responsibility to lifelong learning from pēpi to kaumātua and developing the initiatives to support this approach. This includes channeling resources into supporting individual Papatipu Rūnanga to champion education in their communities. Our iwi capability initiatives have brought to the fore some exceptional talent in both our cadet and associate director programmes. We have also been looking at external governance development for Te Rūnanga with the development of individual governance plans for each of our representatives. After four years in our temporary space at Wigram, we are delighted to be well settled in our new home, Te Whare o Te Waipounamu. It’s been a positive move being back in a fit for purpose work environment alongside Ngāi Tahu Holdings and provides us an opportunity to build connectivity and support across the organisation. In keeping with our environmental values, Te Whare has been designed to encourage recycling and reduce our carbon footprint and is one of a very small number of buildings in Te Waipounamu with a five Green Star rating. A Charter Hui was held in March to consider whether the Charter (originally adopted in 1993) remains fit for purpose 20 years on. The overarching view was that while there are things we could do better, the fundamentals underpinning the Charter still remain relevant. A second hui was held in Arowhenua at the end of August and Te Rūnanga remains committed to this ongoing kaupapa. Relationships are key in almost everything we do, but particularly in terms of Settlement protection and advancing our rights and interests with the Crown and Crown agencies. Over the past 12 months we’ve made it our business to get to know Treasury better. We’ve also put in the extra yards in terms of our relationship with the Ministry for the Environment, Te Puni Kōkiri and the Department of Conservation. Ngā Mātāpono ki te Wai – protecting our interest in water has been at the forefront of our engagement with the Crown in recent years. Our goals include ensuring better water quality and a framework that will empower our Papatipu Rūnanga to be at the table and making decisions about their local waterways. We know that good ideas arise from the innovation and talent of our communities therefore our focus for this coming year is on broadening our services and methods to encourage whānau to be the best they can be and to enhance the delivery to our Papatipu Rūnanga. In closing, we would like to acknowledge the contribution of our staff and governors across Te Rūnanga Group for your ongoing commitment to achieving our tribal vision: Mō tātou, ā, mō kā uri ā muri ake nei. The most rewarding achievements don’t come without their challenges. Thank you – your efforts are noticed and appreciated. To be followed by afternoon tea. This year we distributed $360,000 to each of the Papatipu Rūnanga via the Te Pūtea Whakamahi grants, an increase of $40,000 on the previous year, and this figure is set to increase again in FY16. The activities of the Office are now aligned to our outcomes-based framework defined by four key Pou: Oranga (Wellbeing), Mātauranga (Knowledge), Ngāi Tahutanga (Culture and Identity) and Te Ao Tūroa (Environment). This enables more accurate determination of success measures in delivering to whānau, hapū and iwi. Four support functions known as Heke (rafters) sit behind the four pou. They are: Ko Ngā Whakapāpātanga (tribal communications), Te Whakaariki (influence), Te Kaitiakitanga me te Tāhuhu (organisational development and governance) and Te Ao Pūtea (investment planning). These are the activities that work to grow and strengthen the structure that enables us to deliver the outcomes. Building strong, vibrant and economically successful communities is at the heart of our tribal economies strategy. This means not only looking for ways to grow opportunities for Papatipu Rūnanga but also finding ways to work with whānau to build economies in the home and enabling home ownership. A tribal economies work programme was developed in the financial year, which is now being implemented. Early outcomes will eventuate in the coming year, including the inclusion of work-ready Ngāi Tahu participants in the Enspiral Dev Academy programme, an 18-week code writing course based in Wellington that places graduates in to work; the establishment of a business portal, and a wānanga at Hui-ā-Iwi for whānau interested in small business development. A focus on housing and tribal properties, are two areas that will be investigated to help regional development. Our iwi savings scheme, Whai Rawa, forms another plank of our tribal economies strategy and is fundamental to improving participation in tertiary education and levels of home ownership, along with enabling participating whānau members to have sufficient funds for retirement. Whai Rawa reached a milestone this year with 20,141 members signed up, which equates to 37% of all tribal members. As at 30 June 2015 the total value of the fund was $43.8m. In the year to 31 March $2.7m was paid out in distributions and $435,401 in administration. Our kaumātua received grants totaling $1,071,596 for the year. He Oranga Pounamu (HOP) continues to facilitate relationships in the health and social services sectors to ensure positive outcomes for Māori whānau. We currently have five Kaitoko Whānau based with Māori Providers. They continue to work with earthquake affected whānau to develop plans that empower whānau rangatiratanga. Two hundred plans have been completed since 2011 with whakawhānaungatanga, housing, life skills and finances being the four key themes. There was a record 29 successful applicants this year for the Canterbury DHB Māori Pacific Health Scholarships administered by HOP. This successful funding initiative continues to attract increasing numbers of high calibre students to a health related career. In April, Te Rūnanga made the decision to disestablish He Oranga Pounamu, allowing for an extended wind-down period and closure by the end of 2016. HOP has done a wonderful job of leading the development and integration of health and social services in Te Waipounamu over its 14 years. However, in line with our vision of enabling our communities and encouraging whānau rangatiratanga, the future for health and social service delivery lies out in the regions with our Papatipu Rūnanga. We have a number of housing initiatives underway, including the Home Ownership Pilot Programme designed to assist participants to make the shift from renting to home ownership. Our partner, the New Zealand Housing Foundation, is working with Fletchers to purchase a number of properties in the Awatea development that will be suitable for the programme. We are also looking for suitable properties in other locations. When completed the pilot will see 15 whānau supported into home ownership in Ōtautahi. The intention is that this will lead to an ongoing home-ownership programme that can be delivered across the takiwā. In a separate initiative, the relocation of three red-zoned Christchurch homes to provide housing for earthquake affected whānau is due for completion by the end of October. The renovation of these homes has taken much longer to complete due to delays with the relocation and consenting process. Te Putahitanga o Te Waipounamu, the Whānau Ora commissioning agency and partnership between the nine iwi of Te Waipounamu is now fully operational with Crown funding being directed through the agency to 23 projects. The initiatives are diverse and range from the establishment of a low-cost clinic to a programme designed to nurture the first 1000 days of a child’s life. In 2015, a new focus has been on growing the numbers of navigators to provide direct support to whānau and strengthening capability through whānau and community development. Over the past 10 years, the Ngāi Tahu Fund has been providing access to resources to strengthen cultural excellence through sustainability, innovation and tenacity. This year a total of 104 projects received a combined total of $725,621. An additional $321,889 was distributed via a special funding round to support Te Matatini projects. Since 2006, there have been 755 projects funded at a total of $7.8m. The Marae development fund is breathing new life into our Marae with funding of $1.4m allocated in FY15 including support for a new marae complex at Arowhenua. A total of $6.8m has been distributed for papatipu marae capital works since the fund began in 2012. Te Rūnanga o Ngāti Waewae received funding of $1m from the Marae Development Fund towards the construction of Tūhuru and just over $766,000 from the Ngāi Tahu Fund towards the whakairo, tukutuku, kōwhaiwhai, waharoa and the opening ceremony. This was a five-year project with a total cost of $5.5m. It is the first dedicated marae building in the Ngāti Waewae rohe for 145 years. The Mahinga Kai Enhancement Fund is now a contestable fund and the first funding round closed in March. Five applications were received for mahi towards the protection, enhancement and revitalisation of areas, species and resources. We established the Taurahere Fund in 2014 to assist recognised Taurahere groups with basic operational and administration costs. Currently we have 16 recognised groups in Aotearoa and one in Australia. The development of the Ngāi Tahu Archive is continuing to make good progress. Our focus is on protecting at-risk knowledge with particular highlights including digitising and gathering provenance information for photographs held in the Ngāi Tahu Archive, undertaking oral histories for the history of Moeraki and Arahura Marae and accessioning a complete digital set of audio-tapes and evidence for the WAI-27 hearings. Special storage facilities have now been installed that will allow us to house the Ngāi Tahu artwork/taonga collection at Te Whare o Te Waipounamu. The research for the first edition of the Cultural Mapping Project is coming to an end with the emphasis now shifting towards building a website to make this information more available to Ngāi Tahu Whānui. Whānau continue to connect via Ngāi Tahu Whakapapa, with just over 1700 registration applications received in the financial year. The tribal register now stands at 53,972. The Whakapapa team have been working on a project acknowledging Ngāi Tahu men and women’s contribution to World War I. Staff have been interviewing children and grandchildren of these men and women for a publication due to be released at this year’s Hui-ā-Iwi. Video recordings of the interviews will also be uploaded onto the Whakapapa website. Validity and currency of our tribal register remains at the forefront of our mahi with 1,200 anomalies identified and corrected to date. There is a real sense of pride among the team, especially for Terry Ryan, as we have recently completed a project identifying a Whakapapa file reference for all 1848 Kaumātua in the Blue Book. Kotahi Mano Kāika (KMK) continues to fund te reo leadership opportunities and host initiatives that encourage the growth and intergenerational transmission of te reo among our whānau. Highlights for the year include our first Kura Reo Rakatahi – growing our up-and-coming future te reo leaders, and, the KMK whānau haereka to Takapō. Over 1500 whānau (4500 individuals) are registered with KMK and committed to learning and using te reo Māori and of these about 50 whānau have committed to using it as the language of first choice in their homes with their families. Aoraki Bound is celebrating 10 successful years in 2016. To date 26 courses have been run and 243 participants have completed this life changing experience. On the environmental front we have been working closely with Papatipu Rūnanga to strengthen our regional influence and to provide planning expertise and support for submissions and presenting evidence at hearings. Over the year the team has supported a variety of submissions to regional planning processes throughout the takiwā. Among these were submissions regarding the Lyttelton Port Recovery Plan, the Akaroa wastewater consent hearings and the West Coast Regional Policy Statement. We also provided support for the Canterbury Water Management Strategy, the Christchurch City District Plan Review, and the update of Conservation Management Strategies. In the south we worked with Ōraka Aparima on the retrieval of the skeletal remains of eight orca for customary purposes. One area where we have been gaining some traction is in leveraging support for research and monitoring with a successful bid for Ministry of Primary Industries funding to support customary fisheries monitoring in the Waikawa Tuma Toka Mātaitai in the Catlins. A range of species are being monitored including tuna, pātiki, tuaki and pāua. We successfully opposed an application to mine the Chatham Rise for phosphate thereby protecting our fisheries assets. Had this proposal been granted, it would have opened the door for other seabed mining activities within the takiwā and set a dangerous precedent for marine management in New Zealand’s Exclusive Economic Zone. Mātauranga is a lifelong journey from pēpi to kaumātua and in recognition of this we have refocused our priorities from our traditional scholarship focused approach to looking more holistically at how best we can support the journey for whānau to achieve their dreams and aspirations. This is an opportunity to go beyond our usual advocacy and stakeholder engagement and create our own initiatives. Supporting our mahi is the recently approved Mātauranga Strategy, designed to enable the success and wellbeing of Ngāi Tahu whānau in all aspects of their lives through four key platforms: creating pathways, prioritising success, providing leadership and promoting innovation. Key to this is channeling resources to Papatipu Rūnanga to set up regionally-based kaitoko mātauranga positions. This allows our Papatipu Rūnanga to develop their own education aspirations and recognises the varied needs of our communities rather than a ‘one size fits all’ approach. 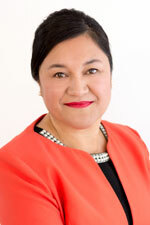 Our focus on iwi capability is paying off with some exceptional talent coming forward for our various initiatives eg: Manawa Nui, which is our associate director programme and the Matakahi cadetship programme which aims to place tertiary students studying commerce-related degrees into our various commercial entities. Matakahi is in its 7th year and this year five students joined the programme. Two BECA technical scholarships have been awarded this year and currently we have five rangatahi engaged in our ‘earn while you learn’ partnership with global engineering company Aurecon. We are also enjoying success with our newly created internship programme. Te Tapuae o Rehua continues to facilitate the successful delivery of two flagship programmes – He Toki ki te Rika (He Toki) and Whenua Kura. He Toki is a highly successful training model providing a career pathway for Māori in construction and over three years the programme has seen over 1000 Māori enrolments. As a result of its success, He Toki ki te Mahi was launched in April as an apprenticeship training trust to offer apprenticeship support. In partnership with Hawkins and Ako Aotearoa we have also developed Ako Whakaruruhau, an initiative designed to build a culturally responsive trades sector. Eleven graduates from the inaugural Whenua Kura Certificate in Farming (Dairy) are currently in employment – seven on the Ngāi Tahu farms and four working in the industry in Te Ika a Māui. A second intake began their Level 3 studies in June. The Level 5 Diploma in Agriculture course has been added to the Whenua Kura suite with nine of the enrolled Diploma students working on the farms during the holidays, one of whom is now employed on the farms. The Level 4 Industry cohort is another new offering with 12 Ngai Tahu Farm employees currently engaged in study. Ngāi Tahu Holdings (NTH) success is founded on our vision as an intergenerational, values-based investment company. This, coupled with the strength and diversity of our portfolio, has provided the platform for a positive result across the Holdings Group. We take pride in our capacity to continue to deliver strong results for the iwi. Supported by macro conditions, it is our pleasure to report another excellent performance for FY15 and just short of our record performance in FY14. Each and every one of our subsidiaries must be applauded for their efforts in delivering above budget and expectation. The continued strength of the kōura market has led to a sixth consecutive record result for Ngāi Tahu Seafood. The company ended the year with an EBIT of $20.9m (FY14 $19.4m). The decision to push through with accelerated plans for the residential subdivisions has delivered exceptional results once again for Ngāi Tahu Property (NTP) with Wigram Skies, Prestons and Te Whāriki all exceeding expectations with 533 residential sales achieved within the financial year. The comprehensive NTP Investment portfolio continues to prove its worth with a value of $308m and 100% occupancy of its 26 properties. The demolition of the Christchurch Central Police Station clears the way for the proposed King Edward Barracks development, which will be a significant $150m-plus project for the central city. Also significant has been the transfer of the farming assets from NTP into the newly established Ngāi Tahu Farming (NTF) entity. As of July 1 2015 NTF became fully operational as a subsidiary of NTH with its own board and recently appointed chief executive. However, it’s been a tough year for the farming industry with prolonged drought coupled with weakening milk payouts projected to continue into next season. We are fortunate however, that much of the land is still in the conversion phase which lessens the impact. The farming development is an achievement we are exceptionally proud of and with our long-term intergenerational view to our farming ventures, we are committed to weathering the current downturn. We completed the acquisition of Go Bus during the financial year and are pleased with the results this company has produced over the past nine months. While still early days, results are in line with our expectations and we continue to be impressed with the team and its future prospects. While the financial results for Ryman remained strong, the share price has come back off the historic highs. During the year we sold off a portion of our Ryman shares as we continue to rebalance the portfolio in line with our investment strategy and the Te Rūnanga Group Investment Policy Framework. The past three years have produced exceptionally strong results and a strong balance sheet. As we head into the new financial year however, we are conscious that market conditions are projected to flatten out. Our immediate focus therefore, is on reshaping our portfolio while maximising its value and supporting growth opportunities in our subsidiaries. We are moving away from having a small number of large investments to a broader and more diverse portfolio that includes the potential to expand our business outside of Te Waipounamu. We are aware that the recent artificial highs of the Christchurch property market will begin to slow in the near future therefore we need to expand our geographic horizons and that includes looking at opportunities in Auckland and regionally in the South Island. Growing iwi capacity is also high on our priority list and in this vein we remain fully committed to working with the broader Te Rūnanga Group in creating education, employment and governance opportunities for whānau that enables us to build a capability pipeline for our businesses. Manawa Nui, the associate governance programme has been a resounding success with our boards able to offer excellent learning environments for promising Ngāi Tahu directors. As we enter our second round of placements, we look to build on this success. In closing we would like to acknowledge our employees across The Holdings Group whose commitment to hard work and professionalism ensures we achieve our common goals. Their talent, creativity and entrepreneurship are key to delivering our results. We would also like to thank Ngāi Tahu Whānui for their ongoing confidence that enables us to deliver good returns long-term. *The above numbers have been extracted from the Ngāi Tahu Holdings Corporation Financial Statements for the year ended 30 June 2015. We are always working to grow and diversify our capital portfolio with sound decisions that fit with our values. Ngāi Tahu Capital (NTC) is made up of a number of direct investments along with a fixed interest and equities portfolio. Our direct investments include Ryman Healthcare, a 43% interest in Whale Watch Kaikōura, a 33% interest in Waikato Milking Systems, 66% share of Go Bus along with venture capital and Private Equity fund investments. During the year we sold off two million Ryman Healthcare shares with proceeds of $15.6m. This decision was in line with Te Rūnanga Group Investment Policy Framework and a need to reshape and broaden our portfolio. Go Bus is proving to be a solid investment and did well to meet forecast budget. Following our $10m commitment to Pioneer Capital in 2014, we continue to broaden our portfolio and relationships and have committed to another two private equity funds; AUD$25m committed to Next Capital and AUD$40m to Pacific Equity Partners (PEP), both over 10 year horizons. The NTC portfolio has a current value of $339m. It’s been a dynamic year for Ngāi Tahu Property (NTP) reporting another outstanding result and a year-end operating surplus of $42.3m. This result was once again driven by the ongoing demand in the Ōtautahi (Christchurch) housing market alongside our investment portfolio. We continue to celebrate the success of our three residential subdivisions: Wigram Skies and Prestons in Christchurch and Te Whāriki, in Lincoln, with 533 residential sections sold for the year (42 more than originally projected). The performance of both Wigram Skies and Prestons post-earthquakes has been beyond expectation and will see both subdivisions close to completion within the next 12 months. We are delighted by the ongoing support of Ngāi Tahu whānau who have purchased sections in our subdivisions. Buildings 1 and 2 in stage one of The Landing (Wigram Skies town centre) are complete with retailers progressively opening between now and the end of 2015. Joe’s Garage was the first business to open and anchor tenant New World opened at the end of September. Development of stage two is underway and is expected to open in 2016. The Medical Centre, located in The Landing, has been granted planning consent with building work beginning mid-August. The centre will provide GP services as well as x-ray, radiology, physiotherapy, acupuncture and travel shots. We expect it to open midway through next year. Wigram Business Park is also proving hugely popular with only one lot remaining. Work on the King Edwards Barrack (KEB) site in central Christchurch has also commenced. The development will see the historic site become a vibrant and vital link between the CBD, Hagley Park, the Cultural Precinct and the Civic Building. Stage One consists of two office buildings and a 600 capacity carpark. The investment portfolio combines a significant suite of Crown and local authority tenanted properties, offices and retail across Te Waipounamu. As at 30 June, the value of the investment portfolio was $308m. The 26 managed properties have an average weighted lease term of 9.79 years (industry average = 6.59 years) and enjoy 100% occupancy. The Christchurch Central Police Station was successfully imploded earlier in the year and the cleared site has now been handed over to the development team for commencement of the KEB development. Te Whare Whakapapa (which translates as the essence of life and is the name given to the NZ Blood Service Building) was completed and opened late last year. This state-of-the-art building was completed ahead of time and under budget and has now been transferred to the investment portfolio. In September 2014, NTP purchased the cutting rights for 22,800 hectares of forests from the Crown. The forest is located on 49,300 hectares of West Coast land, which has been owned and managed by Ngāi Tahu Forest Estates for the past 15 years. This section of the business is also involved in securing consents and irrigation for Ngāi Tahu Farming (NTF). During the year, water was secured for Balmoral via a shareholding in Amuri Irrigation Company Ltd.
Having successfully established our farming company, NTF became its own entity as a subsidiary company of Ngāi Tahu Holdings on 1 July. We would like to acknowledge the work of our previous GM, Andrew Clayton and his team, in setting up the business and establishing the base for a successful farming operation. Te Haumi Whakamana, an investment opportunity for Papatipu Rūnanga, will enable those rūnanga who opt in to share in the returns of a portfolio of Crown-tenanted properties. In addition, we are increasing our support to rūnanga with opportunities that arise within their rohe. Forming enduring relationships with like-minded partners who share our vision and values is a core objective. We continue to enjoy our relationships with the Crown, the Christchurch City Council and the other joint venture partners we do business with. Our capability programmes offer support to whānau seeking property career paths with us. The Pūmanawa Scholarship offers support to tertiary students and we support an associate director as part of the Manawa Nui programme. These programmes assist the iwi to discover and grow talent. Health and Safety has been a priority throughout our operations and has resulted in some major improvements in protocols that are working seamlessly throughout the business. At its heart is our commitment to “get everyone home safe everyday”. Locally we are focused on finishing Wigram Skies and Prestons and progressing the Riccarton Racecourse and KEB developments while we continue to look for new opportunities. We acknowledge the need to expand our geographic spread and have been exploring potential opportunities beyond Te Waipounamu, particularly in Tāmaki Makaurau (Auckland). We now have a presence in Tāmaki Makaurau and recently appointed David Kennedy as our first Manager. In closing we wish to acknowledge our delight in having the entire Iwi organisation back under one roof at Te Whare o Te Waipounamu. We must also make mention of our amazing team – well done. Off the back of a challenging few years driven by the Global Financial Crisis, the tourism market has started to recover and we are delighted to report that Ngāi Tahu Tourism (NTT) ended FY15 with our best ever result and an operating EBIT of $9.11m (FY14 $6.16m). This success has been driven by a number of factors including greater stability in the global financial markets, growth in international visitor markets and the re-positioning of the business to be fully prepared for the upturn. While the year was positive across the board it was the Southern Region (Shotover Jet, Hollyford Track and Dart River) and Agrodome attractions that enjoyed record results. The impact of the retreating glacier at Franz Josef and the resultant loss of access to the glacier on foot in 2012 meant our guiding business was forced to adapt. The new Ice Explorer experience offers a premium product and delivers a fantastic introduction to the world of glacial ice, making accessible landscapes and features that would normally be the privilege of experienced ice climbers. The new Glacier Base Building, which sees the guiding and hot pools businesses based on the same site, was opened by the Maakawhio Rūnanga in March. The Rainbow Springs operation has also done significant design work on re-developing the experiences they offer. We are delighted to report that they are now at the start of a growth phase. We acquired Queenstown businesses Guided Walks New Zealand and NZSnowshoe in April. These attractions strengthen our presence in this premium tourist location, offering a winter activity and an opportunity to support our existing Hollyford Track staff by providing continuous employment during their winter downtime. China continues to be our key visitor growth market providing 26% of our total revenue. Of the more than 313,000 Chinese visitors to New Zealand each year, nominally 73% of them will visit a NTT visitor attraction. Agrodome is a star attraction in this market with 52% of all Chinese travellers to New Zealand visiting Agrodome. We continue to focus our efforts in this market and have been working hard to strengthen our presence in China including working with Ngāi Tahu Seafood. In May NTT was recognised for its successful engagement in the China market winning the Auckland International Airport Award for Excellence in Tourism at the biennial HSBC China Business Awards. Australia, United States, Germany, UK and France are all showing positive growth with India, Indonesia and South America being the emerging markets we are targeting. Key to our strategy has been the need to build our capability for growth, particularly in the area of sales and marketing where we have changed the structure to increase focus in these areas. This has included the creation of a GM Digital role to drive the online market. We are confident we now have the team in place with the skill set to deliver. In July 2014 we welcomed Quinton Hall as our new Chief Executive. Quinton brought with him broad industry knowledge and experience aligned with our objectives. During the year we said goodbye to David Clark and Tony Marks from the board and at the end of August 2015 our Chair Ross Keenan retired after nine years in the role. We would like to take this opportunity to acknowledge the contribution of our departing board members, in particular the outstanding guidance and leadership of Ross as our Chair. We have welcomed Sarah Smith in the role of Chair, Stuart McLauchlan as a board member and Geoff Lawrie as Associate Governor. With a positive long-term forecast we are well positioned for growth however, we remain mindful of the volatile industry in which we operate. Our primary focus is on product development within the portfolio and looking out for potential green field and acquisition opportunities. We are aiming to progress the Queenstown Hot Pools and are also in discussions with Ngāi Tahu Farming about potential tourism opportunities with the high country stations in the Wakatipu area. In all of our operations we are working to build our cultural capacity through developing experiences and weaving stories that reflect our origins. The strength of the live kōura market to China continues to gather momentum and as a result produced outstanding returns for Ngāi Tahu Seafood (NTS). 2015 was a record year for kōura and the sixth consecutive record result for Ngāi Tahu Seafood, achieving an operating EBIT of $20.9m at year-end. As a significant owner of kōura quota we are in a strong position to continue to maximise returns from this highly lucrative market. Our annual sales of kōura totaled 450 tonnes and with the United States dollar strengthening our returns should continue to be strong. In order to ensure we are providing our customers with kōura in the best possible condition we have committed to improving our quality. We have gone about this by refocusing our attention on working with our fishermen to better understand how we can improve our procedures. Intentionally, we employed our first Marine Biologist, Thomas Hildebrand (Ngāi Tahu), to focus on quality and technological advancements. Pāua sales continue to be impacted by the strict Chinese austerity measures. Accordingly we are moving away from selling bleached, tinned pāua and towards marketing a natural, TAHU branded product. It was a long season for tio this year mainly due to poor weather making it difficult for boats to get out. Eventually all 167,000 dozen were caught and market demand remained strong throughout the season. The main market for tio is local however, we intend to investigate farming of tio that is suitable for export to the USA and China. Kūtai continue to be an important part of our portfolio. An exciting development has been the joint application with the Menzies family to extend our mussel farm in Squally Bay and having local Papatipu Rūnanga Koukōurarata, come on board as a third partner in the venture. This will be our biggest farm and we hope to begin production early in 2016. China has fast become the world’s largest market with demand being driven by its growing middle class. For NTS it is and will continue to be our largest market for the foreseeable future and that is why we have recently begun the process of setting up an office in Shanghai. Having a local base gives us a competitive advantage enabling us to get a better understanding of the market potential and assist in strengthening relationships on the ground. As an iwi owned business NTS is firmly committed to growing iwi capability and supporting whānau to fulfill their dreams and aspirations. Currently we support over 50 Ngāi Tahu owned and operated fishing businesses including those supported through ACE trade partners. We also provide fishing scholarships to help fund young Ngāi Tahu Fishers to achieve their Inshore Launch Masters (ILM) tickets. The scholarship programme aims to secure well-trained young people in the seafood industry and offer fishers opportunities for development. The Murihiku Development Pool consists of nine fishers that continue to receive support and access to Ngāi Tahu Fishing Quota. The Pool is part of a programme developed to form enduring relationships with Ngāi Tahu Fishers through business security and growth. In August we farewelled our Chair of six years Brian Rhodes. 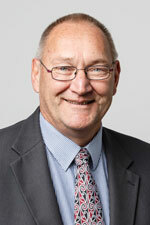 Brian achieved record results over this period and we thank him for his significant contribution to Ngāi Tahu. Richard Punter also resigned from the Board in August 2015. We welcome our new Chair Craig Ellison and board member Richard Janes who joined the NTS Board in September. While kōura continues to be the star performer for the business we are well aware of the risks associated with having too much exposure in one species and one market. We are in the process of developing a new growth strategy, due for completion in December 2015. Ngāi Tahu Farming (NTF) is a burgeoning farming business that manages dairy, dairy grazing, sheep and beef grazing along with high country farming operations at Lake Whakatipu. At financial year-end the farming operations sat within the Ngāi Tahu Property (NTP) portfolio therefore the farming results for this annual report are included in the NTP financial results. As of 1 July NTF became its own entity with its own board and we recently appointed our first Chief Executive Andrew Priest. We are delighted to have Andrew on board and look forward to his leadership in the ongoing development of the business. Currently seven dairy farms employing 80 staff are operational at Te Whenua Hou (Eryewell) in North Canterbury. Growing whānau capability and employment opportunities on the farms is integral to our vision for the future. We are making good progress with the appointment of our first two Ngāi Tahu farm managers, Chris Eruera and Hemi Dawson earlier in the year. We also have 11 Whenua Kura students working, living and learning on the farms and a further eight diploma students working with us over their holidays. While it’s been a tough year for the dairy farming industry with the dropping milk price payouts and an extended drought period, we believe our long-term view and diverse portfolio provides the necessary resilience to ride the cyclical nature of the business. We are a growing business with a genuine commitment to best practice farming and the continuous improvement of environmental, social, cultural and economic outcomes for our operations. In the short-term our focus is on completing the development of our dairy and grazing operations at Te Whenua Hou and the development of the land at Balmoral, our property in North Canterbury. Beyond these immediate priorities, we are very interested in exploring new food and food product opportunities that fit with the values and vision of the iwi.